[S2] Peter W. Hammond, editor, The Complete Peerage or a History of the House of Lords and All its Members From the Earliest Times, Volume XIV: Addenda & Corrigenda (Stroud, Gloucestershire, U.K.: Sutton Publishing, 1998), page 143. Hereinafter cited as The Complete Peerage, Volume XIV. Very Rev. William Crowe married Emilia Evans, daughter of Rt. Hon. George Evans and Mary Eyre. 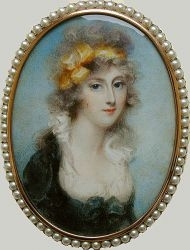 From 15 April 1759, her married name became Evans.